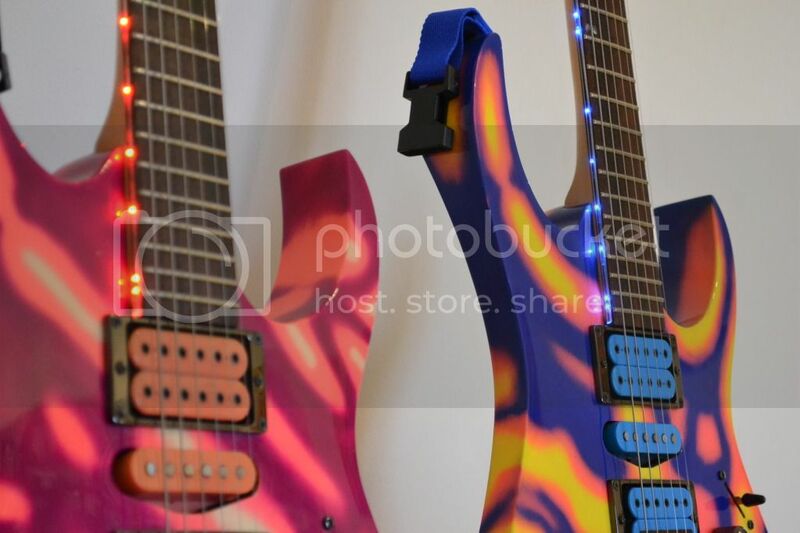 Jemsite > Vendors > Comments to Ibanez > Where are the showcase guitars? Where are the showcase guitars? Maybe I'm the only one, but I love the showcase guitars. I have the S2009SC, SV2009SC, and RG2011SC and love them all, want more! J-Customs are great and all but once you have a few high end Ibanez's it feels like there's no reason to buy anything NEW, and the signature guitars are cool but I don't want all my guitars to be tied to one particular artist, which is where the showcase guitars come in. I want something that really makes a statement... something that makes 90% of the Ibanez community say, "What the hell were they thinking?" and "Who the hell would buy this?"... something UNIQUE and collectable for the serious Ibanez collector. Crazy woods, crazy paint jobs and body work, one or two unique features that you can't get on production models, etc. Re: Where are the showcase guitars? I wish I could say this was mine but the woodwook on this is off the hook. Kudos Sugi-san!